NEW APPLE varieties are continually being developed, some the old-fashioned way, as chance seedlings in the wild, and others in sophisticated apple breeding laboratories around the globe. Some of these apples are so new that they may be as hard to find as some heirlooms, and some will never achieve broad commercial success. But the best of these add greatly to the apple palate with new and interesting flavors, textures, and colors. Three new mid-season varieties with great promise are Cameo, CrimsonCrisp, and Topaz. Cameo, or American Cameo, is one of the most widely planted of the new varieties. It came from a chance seedling in Washington state, and it was introduced commercially in 1998. Its parentage is unknown, but it was discovered near a Red Delicious orchard, with which it shares several characteristics. Cameo’s conical shape is similar to Red Delicious, and it is a sweet apple, too, with a pear-like finish. 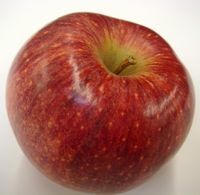 But Cameo is juicier and crisper than Red Delicious, and its coloring includes yellow or green striping on a red skin. 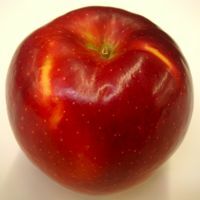 CrimsonCrisp, as its name implies, is a firm, reddish-purple apple. Its crispy yellow flesh has a sweet-tart flavor, making it good for both fresh-eating apple and cider. It is a scab-resistant variety, and it stores well for several months. CrimsonCrisp was released in 2005, the 18th cultivar developed by the Illinois, Indiana, and New Jersey (PRI) joint apple-breeding program. 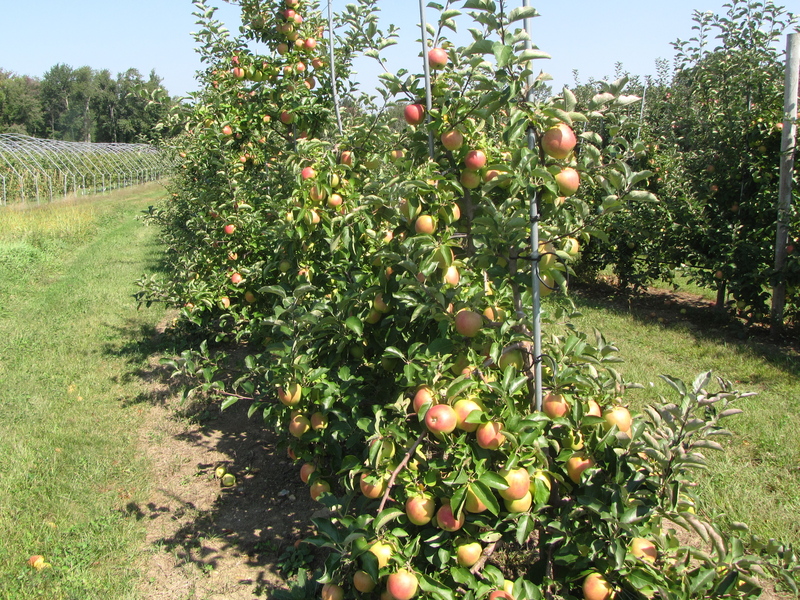 The first CrimsonCrisp seedling was developed from a cross of two other seedlings in 1971 at the Rutgers Fruit Research and Development Center in Cream Ridge, New Jersey. Its parentage includes Golden Delicious, Rome, Jonathan, and Melba. Topaz is a disease-resistant variety from the Czech Republic that made its commercial debut in 1990. The Czech Republic apple industry, while modest, has been one of the most active countries in the world when it comes to developing new disease-resistant varieties, including the scab-resistant, sweet-tart Topaz, and its parents, Rubin and Vanda. Topaz is a medium to large apple with a beautiful red blush overlaid on a yellow skin. Its cream-colored flesh is crisp, and its flavor is on the tart side, although it mellows some in storage. There is also a redder strain known as Crimson Topaz or Red Topaz. Props for giving Topaz some love! You bet! Let us know if there are other varieties you would like to see featured. Thanks.